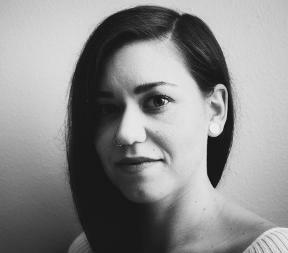 Jana Meszaros is a choreographer, performer, and teacher based in Eugene, Oregon. A University of Oregon Dance Department alum, she has since worked with many prominent artists, most notably Kathleen Hermesdorf/La Alternativa, Alito Alessi/DanceAbility, Shannon Mockli, Katie Griffin, Sara Shelton Mann, and Brad Garner/Harmonic Laboratory. Her study of dance design has yielded a strong portfolio; she has shown work regularly for the last decade, completing two artistic residencies in San Francisco in the process. 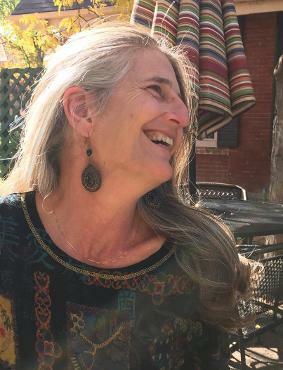 Producing both independent and collaborative work, she completed a series of pieces for the organization Dance in Dialogue, where she now serves on the operational team. As a 2015 recipient of an Oregon Arts Commission grant, she created a new mixed-abilities work under the mentorship of Alito Alessi. Since then, she has completed three works which are now part of the permanent repertoire of DanceAbility International's performance company, Joint Forces Dance, where she also serves as Rehearsal Director. Her main focus, however, is movement education, with over ten years of experience working with students of all ages through many different physical forms. She completed her first Certification in the DanceAbility Method in 2015, and has since led regular mixed abilities classes in Oregon and maintained a teaching mentorship with Alessi. She earned her Master Certification in the DanceAbility Method in Trier, Germany, and now facilitates trainings in inclusive dance for teachers. In 2017, along with Alessi, she was a featured instructor at Unesco's International Dance Day in Shanghai, China where she led a session regarding Application of the DanceAbility Method for a Younger Demographic. Hailing from northwest Pennsylvania, David is an accomplished drummer and master carpenter. He studied mime with the Catholic Biblical School and received his ballet training at Ballet Arts Theater under the direction of Paul Noel Fiorino. He has danced in over 15 Nutcrackers, Rappichini's Daughter, Meet the Wilderness, Peter and the Wolf and many more original productions. Moving to Berthoud in 2001 and opening Berthoud Dance Company (BDC) in 2003, David found his niche in directing and enjoys producing creative, unique, and thought provoking works, such as The Art of Dance. BDC continues to bring quality performances to Berthoud, Loveland, Longmont, Mead, Johnstown and the surrounding communities. David would like to thank the Tom and Joyce Jones Family for their continued support! 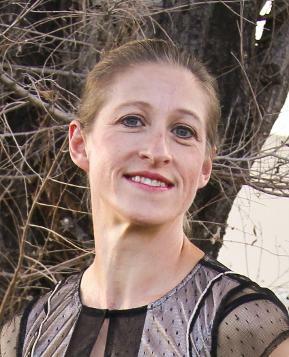 As the Director of Front Range Classical Ballet Academy, Ixchel has been teaching, choreographing, and performing in the northern Colorado region since 1990. Having come to Fort Collins upon the invitation to be School Director of Canyon Concert Ballet, Ixchel has stayed in the area and shared her love and knowledge of dance with countless students throughout northern Colorado. From her years of performing professionally and studying classical ballet and modern dance with many master teachers, Ixchel has a breadth of experience to share with her students. She is known for her precision in teaching proper technique geared towards minimizing injury and maximizing consistent student progress. Ixchel seeks to share the art and soul of dance with all who come into her classes, finding the individual gifts and beauty in each of her students. Her choreography has been performed throughout northern Colorado as well as in Denver and has had broad appeal among audiences. Paulette Dolin has been a teacher and practitioner of the Feldenkrais Method(R) of somatic education for over 20 years. Applying Awareness Through Movement lessons to exercise and wellness programs from Stanford Integrative Medicine, she has worked with clientele ranging from patients with cancer to patrons at senior centers, where she got everyone dancing no matter their perceived limitations. A student of various forms of dance, her goal is to facilitate movement as self-expression as well as performance.